Need help connecting Shrimpy to Bitstamp? 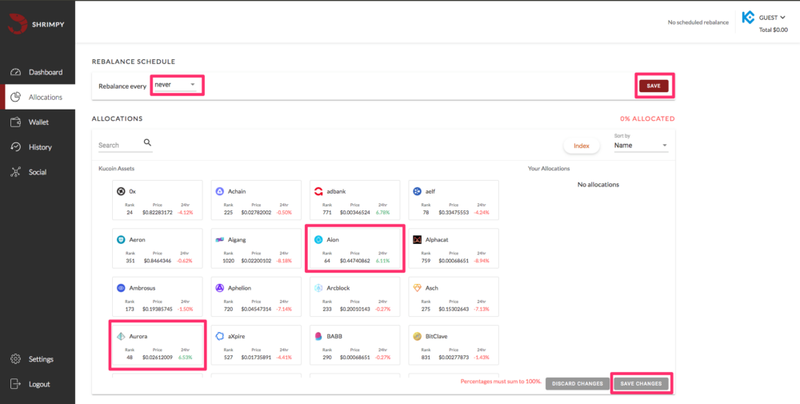 So you’ve got a Shrimpy account, a Bitstamp account, you know rebalancing could help you, but you don’t understand API keys or how to use them. Keep reading! Shrimpy allows for any number of exchange accounts to be linked to a single Shrimpy account. That means if you want to have 10 Bitstamp accounts linked to Shrimpy, you are more than welcome. If you want to link 3 Bittrex, 1 Binance, 9 KuCoin, 5 Gemini, 7 Kraken, and 31 Poloniex exchange accounts, this is all possible inside a single Shrimpy account. Log into your Bitstamp account. Once you have logged in, you will see a page that looks similar to the one shown above. You can navigate to your API keys by selecting the menu for "Security" then "API Access". Once you have navigated to the API Access page on Bitstamp, select the options for "Account Balance", "Open orders", "Buy limit/market order", "user transactions", "cancel order", and "sell limit/market order". These are all required to use Shrimpy. Then click on “Generate Key”. You will now see a page which will show your API Key and Secret. These are the keys that you will be inputting into Shrimpy. Note: You will not be able to see your Secret key again once navigating away from this page. Please copy it to a secure location at this time. Now that you have completed the process to obtain your API keys. We must select to activate the keys. Now, will head over to Shrimpy where we will input our API keys into the application to start automate our trading strategy. Now that you have the 2 different components for your Bitstamp API Keys, you can connect your account to Shrimpy. 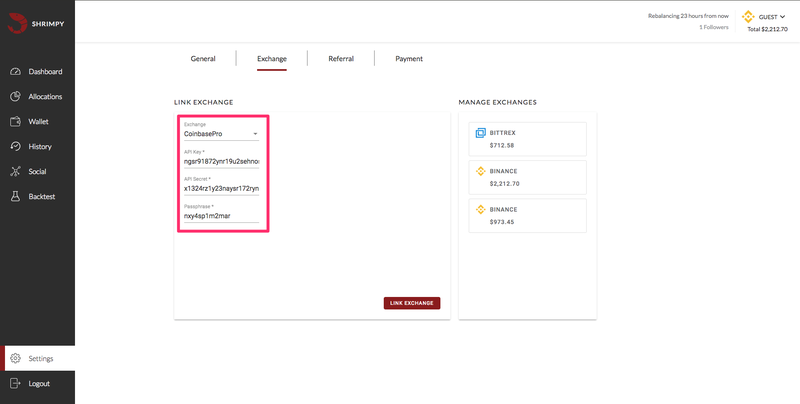 Once you have logged into Shrimpy, select “Bitstamp” as your exchange and paste your “API key” and “Secret Key”into the Shrimpy application. You can find the page to input new exchanges by navigating to “Settings” and then “Exchange”. Once the keys and passphrase have been copied into the correct fields, click the “LINK EXCHANGE” button.